The central message of Christianity is that God loves the world, and an essential element of that love is God’s forgiveness – that is, that God keeps on loving us even when we have grieved God’s heart. To understand the depth of God’s love and forgiveness is difficult for us, because we know there are limits to our own love, and we know our ability to forgive is also limited. But we also know that if we want to follow Christ, we must learn how to be loving and forgiving. and learning to forgive others as God forgives us. A Church that proclaims that its God is a God of love and forgiveness must teach its own people how to be loving and forgiving. In the New Testament, God’s forgiveness is a central theme of Jesus’ message. In the parable of the prodigal son, Jesus teaches us that we, too, will always be welcomed home; but in the parable of the unforgiving steward, Jesus calls us to forgive as we have been forgiven. Jesus is telling us that our ability to receive forgiveness is linked to our ability to forgive others. When we hear Jesus say, “Take up your cross and follow me” (Matthew 16:21-28) , we imagine ourselves being called to do great and difficult things for God. But what if our cross is not anything great, but the small, daily decision to love others when they are unlovable, the infinitely painful practice of forgiving others when they have hurt us? For those of us who find it hard to forgive – that would be almost every human on this earth – Jesus’ example of forgiveness may be the most difficult discipline of all. Whenever we are hurt, we can quickly react with hurt, anger, or denial – and if we don’t stop and think, we can act out of those feelings. In addition, if we hold on to those feelings, they can fester into deep resentments and bitterness. Researchers have found that unforgiveness has many physiological effects. These include increased heart rate and respiration, a narrowing of the blood vessels, and the release of powerful hormones such as adrenaline. All of the body’s systems are affected in a variety of ways. When this stress continues over a prolonged period of time, severe damage and illness can occur. Mental health professionals also recognize that people struggling with unforgiveness often appear “stuck.” It is as if a part of their personality is fixed at a certain incomplete point. Think of someone you know – perhaps even you, yourself – who, in spite of being an accomplished adult, can sometimes be very childlike in relationships with others. Although there are many causes for this, unresolved bitterness is often at the core of the problem. Forgiveness is necessary for our mental and emotional well-being. Indeed, forgiveness is a medicine that stops the infection of resentment that develops into the rotten disease of bitterness. Forgiveness interrupts this downward spiral and helps to set us on a path towards mental, emotional, physical, and spiritual wholeness. But how can we learn to forgive? This summer Rob and I drove to Washington State and back, seeing family along the way. I had the joy of spending time with my brother and both sisters. Each visit had the same pattern; we retold stories of our childhood, things we did and said to each other, things our parents did and said to each other and to us. These were powerful memories – they must be, to last into a person’s seventies! And while there were many happy memories, there were also painful ones – remembering things said and done that hurt us, that angered us, things that have never been forgotten. We are all bound to the past, with remembered joys and lasting pain – and each of us has learned, over many years, the importance of forgiving. But why do these old memories have so much power? Sometimes I think a painful memory, especially a memory of deep hurt, is like a rope that binds us to the person who once hurt us. It is as if, in our minds, every time we see that person – every time we think of that person – that rope tugs at us again, the memory rises, and we are back at the original hurt, the original injustice, all over again. I know our family isn’t the only family that has these lasting memories. Perhaps we all tie emotional cords around the people who hurt us – thinking that we have caught them, that we will never forget what they did or said. And yet – when I’ve tied someone to me, I’ve also tied myself to them…. 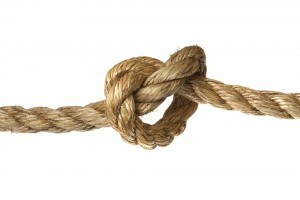 And until I untie that old cord, until I let go of them, I will be bound to them forever. To forgive reality is to let go of the negative story line, the painful story line that you’ve created for it. If that story line has become your identity, if you are choosing to live in a victim state, an abused consciousness, it gives you a false kind of power and makes you feel morally superior to others. But let me tell you, it will also destroy you. It will make you smaller and smaller as you get older. You will find that you have fewer and fewer people you can trust, fewer and fewer people, if any, that you can love. Life itself becomes a threat. Your comfort zone becomes tinier and tinier. Thankfully, God has given us a way to not let the disappointments, hurts, betrayals, and rejections of life destroy us. It is the art of letting go. If we can forgive and let go, if we don’t hold our hurts against history and against one another, we will indeed be following Jesus. After the crucifixion, there’s no record of Jesus wanting to blame anybody or accuse anybody. In fact, his last words are breathing forgiveness: “Father, forgive them; they do not know what they are doing.” (Luke 23:34).